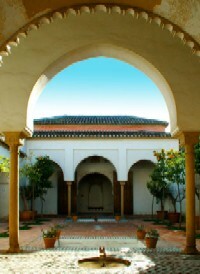 Malaga was a great centre for agriculture and trade and was a part of Islamic Spain for nearly 800 years. Its scholars briefly looked at here included experts on trade and public regulations and arguably the founder of botany, Ibn-al Baytar. On the scholarly and learning front, Malaga was amongst a number of the principal cities of Spain (that also included Cordova, Toledo, Seville and Granada) which had academies that taught mathematics, astronomy, geography and medicine. And they were staffed not only with Muslim scholars, but Christians and Jews also took part in the teaching. Malaga produced two scholars of great renown who, through their scholarship, managed to mix science with Malaga's greatest accomplishments of commerce and farming; one, Al-Saqati, wrote an essential treatise on Hisba (roughly commercial practice and law) and the other, Ibn al-Baytar, wrote the greatest treatise of medieval times on botany and herbals. Al-Saqati's work on hisba and the Muhtasib has been edited by G.S. Colin and Levi Provencal under the French title Un manuel hispanique de hisba (a Hispanic treatise of Hisba). This treatise of Abu Abn Allah Muhammad B. Abi Muhammad as-Saqati of Malaga deals with the inspection of corporations, the repression of fraud in Muslim Spain and includes the Arabic text, a glossary and an introduction totalling at least 700 pages altogether. Following Levi Provencal and Colin, Chalmeta and J. D. Latham made further decisive and welcome contributions to raising the awareness of this highly important work. Thanks to Chalmeta, there is now a version of this work in a Western language. Then, in a number of essays, 1973 fwd, Latham has put at the disposal of the reading public three articles which enlighten on diverse aspects included in Al-Saqati's work. Al-Saqati's treatise is the first treatise in the Islamic West of hisba and is a guide for the state official who is in charge of this function of Muhtassib. 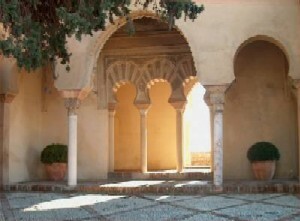 The author al-Saqati exerted his functions of muhtassib at Malaga towards the end of the 12th century or at the beginning of the 13th century. Latham points out that today Al-Saqati's work is of primary importance for the economic history of Spain. Latham also points to the important fact of how Al-Saqati, as the Muhtassib, commits his practical observations of his trade to paper. Indeed, both functions of Muhtassib and the information contained in this work make it a crucial element in the study of Muslim economic history in Spain and its subsequent impact on the rest of Europe. It is important here to dwell a little on the role of the Muhtassib to explain the importance of the treatise by al-Saqati. The word hisbah is derived from the root hasaba, which means to take into account. Hisbah is a judicial system, which is based on a few broad principles and a set of jurisdiction. Glick notes that both the market and the urban artisans who produced for the market required governmental control. In the Islamic world, supervision of urban economic life gave rise to a specialized body of secular, customary law and a special jurisdiction called hisba (literally calculation) executed in Umayyad times by a Master of the Market (sâhib al-sûq) and later by a muhtasib with both deriving their authority from the qadi. However there is another interpretation from Conrad which goes as follows: Muhtassib is the Arabic title for an official roughly equivalent to a market inspector, although this rendering is in some respects unsatisfactory. In the most general sense, a muhtasib was any Muslim whose conduct reflected hisba. In the first two centuries of Islam, it came to be closely associated with the frequent Quranic exhortation "Enjoin the good and forbid the evil." It therefore seems that as an ethical term, hisba meant the promotion of good deeds as a responsibility enjoined by God. It was in this sense that theological and hortatory literature in medieval Islam considered the duty of hisba to be incumbent on all Muslims: For the sake of his soul, every believer should do good and eschew evil, and, for the welfare of the community, should encourage others to do likewise. This latter obligation implied a notion of personal responsibility for the moral rectitude of society, the scope and extent of this responsibility depending upon the position and capacity of each individual (for instance, a slave could remonstrate with his master if the latter committed an evil act but could not try to correct him by threat or force). From this graduated concept of hisba followed that the highest responsibility and the role of primary muhtasib, as it were, should fall upon the holder of public authority. The evolution of these ideas and their development into the theoretical foundation for a specific institution took several centuries. The sources mention the muhtasib and other guarantors of public morality from earliest Islamic times. At first, regulation of public conduct and economic activity was the concern of one's kin, and personal behaviour and business practice were deemed acceptable so long as they brought no disgrace to the family or tribe. Disputes were settled within the clan and intertribal quarrels were referred either to the governor (emir) or to a mediator acceptable to all parties. The expansion of cities (especially in Iraq) soon compelled the caliphs and their governors to try to maintain urban order in some uniform fashion and, to this end, to establish and uphold certain basic standards of public conduct, especially in the marketplace which was the most important social and economic forum of the early Islamic towns. The Umayyad caliphate (661-749) marks the appearance of the sahib (or amil) al-suq (market master). At the heart of the Muhtassib duties were the probity of weights and measures and the inspection of artisan manufactures and edible produce for adulteration; the muhtasib, thus, is pictured as making the rounds of the market with an assistant who carries a balance with which to certify that products sold by weight were accurately priced. If a fraudulent practice was discovered in the commission, the muhtasib could punish the offender summarily, typically by ordering the destruction of the bad product. The regulations, as collected in the treatises of Andalusi muhtasibs such as ibn Abdun of Seville and al-Saqati of Malaga, ranged from the general (prohibition of scandalous or irreligious behaviour in the marketplace) to very specific (stipulation of the number and kinds of thread per unit in various kinds of cloth; proportions of raw materials permissible in products containing multiple ingredients; procedures to be used in preparation and sale of meat). In the field of health sciences, for instance, Al-Saqati maintains that people are engaged in the pharmaceutical industry as professionals whose scope is very wide and whose methods are very numerous and complicated. Identification of fraud is very difficult, and the consequence of such fraud can neither be reckoned nor imagined. It is therefore essential that the muhtasib deals with such complex problems. The muhtasib also looked into violations of what would now be called building codes, particularly as regarded the disposal of market and household refuse in the streets and the overbuilding of upper stories in such a way as to occlude the sunlight, making it impossible for muddy streets to dry. These public health functions were viewed as intimately intertwined with the functioning of the marketplace which, together with the mosque, was the primary focus of public life over whose cleanliness and traffic the muhtasib also had some jurisdiction. All these issues find expression in one way or another in al-Saqati's treatise. It is divided into 18 parts, preceded by a general introduction on the application of the hisba in early Islam; the chapters dealing with weight and measures, the various trades of bakers, butchers, perfume sellers, druggists, and the makers and sellers of manufactured objects. The work also deals with all sorts of frauds and fraudsters amongst trade dealers and craftsmen who work in the markets, their tricks and frauds in relation to weights and measures and the means they use to cheat their customers. The treatise on hisba by al-Saqati also offers a vivid and expressive account on customs, corporations, the price of foodstuffs and so on. One of Latham's articles is an excellent essay on the Interpretation of a passage on scales (mawazin) in Al-Saqati's treatise. It is highly technical and includes very interesting descriptive passages and diagrams such as of an equal armed beam scales suspended upside down for agricultural purpose. Other articles by Latham include Al-Saqati's observations on grain and flour milling,and also the bread trade in medieval Malaga. Dhya Eddin Abu Mohammed Abdallah ben Ahmed al Malaky (from Malaga) (1197-1248) was known as Ibn al Baytar (translated as son of the vet). He is the author of the richest repository of medical natural history amongst Muslims. Ibn-al-Baytar was born in Malaga but travelled in Spain and North Africa as a herbalist and later lived in Cairo as chief herbalist. There he was appointed by the Ayyubid Sultan Malik al-Addal as an inspector of all herbalists of Cairo according to one version and as the head of Cairo's medical profession, according to another. From Egypt he travelled extensively through Syria and Asia Minor and died in Damascus in 1248. A pupil of Ibn-i-Rumia (Abu al-Abbas al-Nabati [the Botanist)), Ibn al-Baytar was also greatly influenced by the work of Al-Ghafiqi (d. 1165) named Kitab al-Adwiyat al-Mufradah (The Book of Simple Drugs). Max Meyerhof has made a good outline of the works of Ibn al-Baytar and his predecessors. Of his outstanding works, one was on materia medica, the other on simple remedies - medical preparations containing but one ingredient. The latter was a description of animal, vegetable and mineral ingredients obtained from his own research and experiments as well as data that he had learned from Greek and Muslim sources. A great deal of Ibn al-Baytar's science comes from his travels and his personal collection and observation of plants of medical interest. He began his extensive travels through the then vast lands of Islam in 1216-7 in search of plants. He thus collected a number of new medicinal plants which were introduced into the pharmaceutical know-how. Hence in Bejaia, Algeria, he found and describes lengthily the Athrilal (Latin: ptychotisverticillata) which a local tribe traded as a specific remedy against leprosy. Ibn al-Baytar makes the same discoveries and collections of many other plants in Constantine, Tunis, Tripoli and other places he visits. Wherever he went, Ibn al-Baytar entered into contact with local scholars to seek further information on local plants and amongst his better known colleagues was Rachid Eddin al-Suri (d 1241) who was another botanist who used to take a painter with him in his outings in search for medicinal plants, recording each of them that was of worth by having them painted at different stages of their growth for inclusion in his book. In his encounter with the 13th century medical historian Ibn Abi Usaybi'ah, who wrote the Tabaqat al-Atibba (The Classes of the Physicians, 1242), we are informed how in the study of their Greek predecessors - Galen, Dioscorides and others - they came across and raised the errors and contradictions amongst such Greek authors. It is held, that there was not a fruit or vegetable known in horticulture at that time that was not grown in the vicinity of Malaga in the Islamic period. It is likely that Ibn al-Baytar was largely instrumental in the foundation of the science of botany; his knowledge of plants acquired through his travels and studies enriching considerably the flora of his country with many additions useful for both their culinary and medicinal properties. "I have added to the ideas of the modern cures of vegetal, mineral and animal origins they do not know of. I have written this work relying on the most trusted sources, whether amongst the modern or amongst the botanists, whatever they did not pay attention to. I have always granted each author their own words. I have established the chain of my references by citing my sources. I have only given my authorship to what belongs to me alone; and have only written what I am certain is correct, and that can be relied upon with great confidence." As already stated, Ibn al-Baytar collected plants, and in his treatise he offers every single detail relating to their place of collection and also the local names of the plants. A Latin version of the book was published in 1758, and its complete translation appeared in 1842. It was translated by the Frenchman Leclerc and recently re-edited. Before that, a number of 17-18th century Western scholars gave their focused attention and interest to the work, including Hottinger - who greatly appreciated it, Golius and Bochart - who used it abundantly in their own works, Herbelot - who praises it in his Bibliotheque Orientale (Oriental Library), Galand - who made a limited translation of it into French, Schultens and the Spanish Orientalist Casiri - who is equally in full praise of the work. 19th century Western scholars also made their use of Ibn al-Baytar's works in one way or the other: Amon making a limited translation of it into Spanish; De Sacy referred to it; Meyer, a historian of botany devoting interested attention to the Muslim author; Dietz making a partial Latin translation whilst Sontheimer made a full German version of the work. Ibn al-Baytar, in fact is so meticulous, he makes it clear that he has given the names of all medicines in different languages but only listing the medicines he is confident about. He tells that he cited the names of such medicines under the name they are known in their countries of origin, using for instance Berber or Latin and the foreign languages of Andalusia. "I have," he says, "taken great care to get the perfect, precise spelling whether in the form of the letters, in diacritics points, so as to make sure that no error is made by the readers, or get into confusion, or distortion, for indeed, errors and mistakes made by the readers come from bad reading or from certain omissions." Ibn al-Baytar is the author of several other books which were translated into various European languages such as a treatise on weights and measures which is located in Leyden and Madrid. Ibn al-Baytar, however, as Sarton recognises, was one of the last `heroes' of the period, which symbolises the relative decadence of Spain. A decadence which began in the 13th century by the loss of such great centres of Islamic learning as Murcia, Valencia, Seville, Cordova, Jaen, etc… and which, two and a half centuries later, ended in the loss of the last enclave of Muslim Spain - Grenada and, preceding that, Malaga.